Our Smart Shed is a key element of a new approach to masterplanning industrial development in London promoted by Savills. 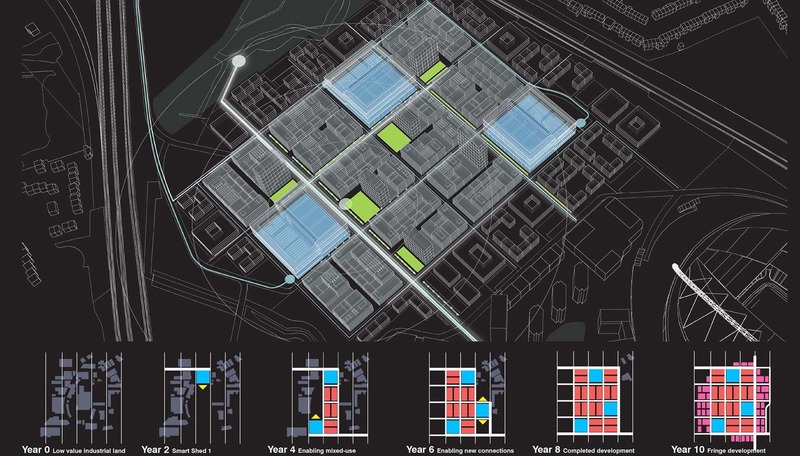 This joint effort recognises the increasing interest in re-tooling urban industrial land to realise higher values, increase density and appropriately find new formats for contemporary productive and creative activities in metropolitan environments. 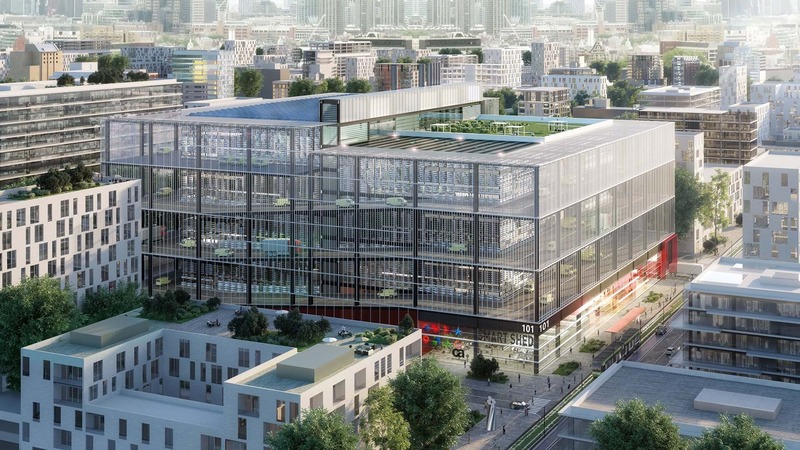 Beyond the traditional understanding of mono-use “multi-storey warehouse”, the Smart Shed is a new urban productive facility for London aimed at delivering a flexible framework able to support urban logistics beside high-value productive activities and employment. 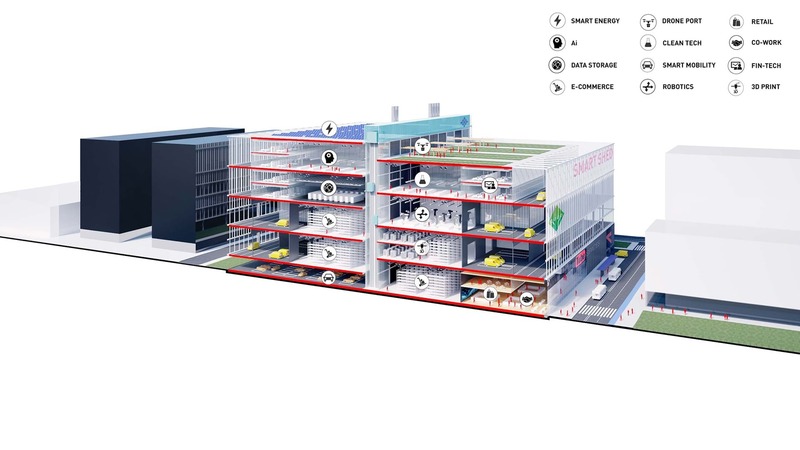 It layers real estate value a wide mix of businesses and communities increasingly involved in urban logistics, data processing, advanced manufacturing, and clean-tech. The Smart Shed features innovative spatial, structural and energy solutions. We have used composite materials to create stronger yet lighter structures, where IP sensitive activities can co-exist in a secure digital and physical environment without sacrificing expression or quality of the work environment.